Here are best WordPress Plugins to secure your website. The first time I heard about blogging, I thought it was for those “techie” people out there. I didn’t know that anyone with the zeal and will to succeed could easily start blogging and could even become “best” at doing it. A couple of years back, I started blogging and I did not anticipate being as good as I am today, as Francoise Sagan would put it ‘Art must take reality by surprise’. As I was a novice, I had little knowledge about the web and frankly I didn’t even know how to do simple stuffs on a computer. Today, I am an avid blogger, and basically live in the World Wide Web. 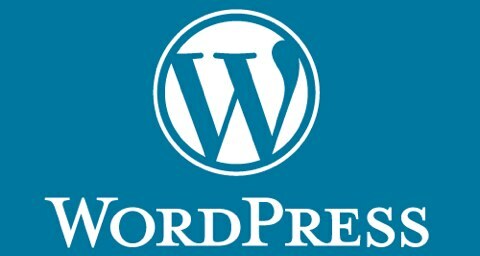 I have come to realize that the WordPress platform is the best platform today, due to its myriad advantages as well as benefits. WordPress is not only easy to use, but it is one of the best platforms for both experts and novices on the web. I personally keep on discovering new tricks and techniques to use on my sites, and I always have fun using new themes such as StudioPress Themes and WordPress Plugins that are freely available to people who have a WordPress platform. My love for WP and all that comes with it has made me to live by the mantra ‘To command is to serve, nothing more and nothing less’. With such a mantra I love to teach other people what I have learnt. Also, due to the growth of the World Wide Web, sites have become more vulnerable to the attacks of hackers who just hack sites for the fun of it and if a site owner has no security WordPress Plugins in place he or she risks losing that site. BulletProof Security is a WordPress based security protection plugin and it is quite efficient at foiling attacks by hackers. This plugin is designed as a fast, one click security app for WordPress. In fact, it is a great application since it protects both the wp-admin and root folders. It offers overall security to the site. Personally, I think that this is a great security application that anyone wanting to protect their site ought to have. The Ultimate Security Checker is also another security WordPress plugin that I have tried out. One of its best features is that it is regularly updated in order to protect a site from new threats. Additionally, the ultimate security checker also scans a site and gives a report on the security of your site. Personally, I find this as a great feature since I know if my site is secure I do not have to worry about hackers. Antivirus is another great WordPress security application that any WordPress user ought to use. This is an application that I fancied from the start because it was an application that basically served the purpose of an antivirus. The application offers virus alerts and also cleans up after a plugin has been removed. In addition, it also offers translation to many languages, scans the databases and the site for malware and viruses. I can personally vouch for this plugin because I have used it and it works tremendously. The Stealth Login is also another great WP security app that I can recommend. This app works in a simple way because it can enable someone to create their own personalized login URL. In addition, the app also has a feature that hides the login info so that bots and hackers may have a hard time trying to get into the site. Lastly, any person who has a business site that often calls for registration or the use of contact forms ought to take a look at the plugin- fast secure contact form. This is a plugin that allows users to send their info by the use of a contact form, and it can also help someone to request a meeting with a site administrator.